Jay Shehadeh exceled in law school. He graduated at the top of his class, was the managing editor of law review, and served as the Vice President of the Student Bar Association (the law student governing body). As part of his law school experience, he was awarded a Gubernatorial Fellowship where he worked in the Executive Office of Governor Charlie Crist. There he built an intimate understanding of Florida’s government workings which continues to serve Jay and his clients to this day. After law school, Jay went on to build his trial and litigation experience at the State Attorney’s Office. Though all new Assistant State Attorneys start in the misdemeanor division, Jay quickly excelled within the office and moved up to the general felony division in record time. Next, Jay went on to work in a specialized unit within the felony division where he prosecuted crimes of physical and sexual abuse against the weakest of victims, children. At the State Attorney’s Office, Jay built an intimate familiarity with the courtroom, a strong understanding of litigation, and the ability to litigate a case in a way that results in a favorable outcome. Jay Shehadeh focuses his practice on the areas he knows best: Real Estate, Civil Litigation, and Business Law. 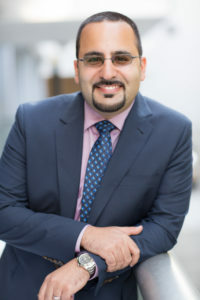 Having grown up in a family of entrepreneurs, Jay Shehadeh built an intimate understanding of business and real estate. He was closely involved in his family’s international business ventures, real estate purchases, and business operations, which gave him a strong practical foundation for his current areas of legal practice. Jay complemented his business experience with formal education when he completed his undergraduate degree in business administration, and he increased his knowledge of real estate when he became a licensed real estate agent. Jay then went on to excel in law school, was the managing editor of law review, and served as the Vice President of the Student Bar Association (the law student governing body). As part of his law school experience, he was awarded a Gubernatorial Fellowship, where he worked with in the Executive Office of Governor Charlie Crist. There he built an intimate understanding of Florida’s government workings, which continues to serve Jay and his clients to this day. After law school, Jay went on to build his trial and litigation experience at the Office of the State Attorney. He started, as all new Assistant State Attorneys, as a misdemeanor attorney and then quickly excelled within the office to move up to the general felony division in record time. Jay then went on to work in a specialized prosecution unit where he prosecuted crimes of physical and sexual abuse against the weakest of victims, children. At the State Attorney’s Office, Jay built an intimate familiarity with the courtroom, a strong understanding of litigation, and the ability to litigate a case to a favorable disposition. Now, Jay uses all of his experience to further the interests of his clients. He is a licensed title agent and has been involved in a multitude of real estate cases, including several multi-million dollar commercial real estate transactions. Jay also helps his business clients achieve their goals through his results-oriented representation style. Additionally, Jay continues to use his government, courtroom, and business experience to effectively serve his litigation clients.